This page documents the operation of Woburn Station and the branch line to Gracefield and Seaview. Woburn is the junction of the branch to Gracefield. 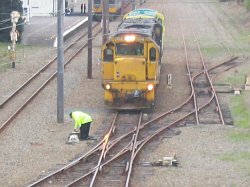 The branch serves the Hutt Railway Workshops and in earlier years also served the Gracefield Yard and various private sidings, including those at Seaview. Passenger trains once ran to Hutt Park for the races. On the 26th of May 1927, following the passing of the Hutt Valley Lands Settlement Act 1925, a double track branch railway was opened from just north of Petone to Waterloo, a distance of 2 3/4 miles. There were intermediate stations at Ava and Woburn. 64% of the cost of construction came from the sale of land. In April 1929 an industrial branch was constructed south from Woburn to serve the new Hutt Railway Workshops, the Hutt Park Racecourse and other industrial establishments. 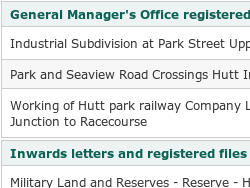 (Webmaster's note: I believe that the line to Hutt Park had been laid by 1927 - this detail needs to be checked). In 1943 this industrial line was extended to Gracefield, reaching its present length of 2 1/4 miles. 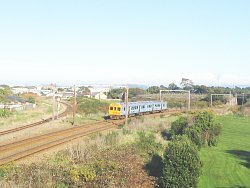 An extensive network of sidings was constructed at Seaview when the reclamation was completed in the late 1950s/early 1960s(?). 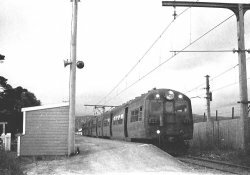 The line was electrified to Hutt Park on 14 September 1953 and to Gracefield in 1964.The wires were removed in the 1980s/1990s(?). 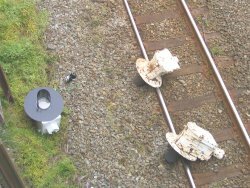 Automatic signalling was installed in 1968 and completely removed by 1998, although it may have been out of use earlier after a fire at Woburn Station. 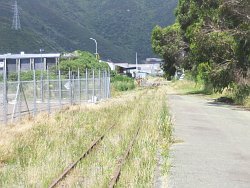 The line to Gracefield has had at least five names - Hutt Park Line, Hutt Industrial Line (both in the 1937 WTT), Gracefield Branch (1986), Gracefield Industrial Line (2001) and Gracefield Industrial Siding (2006). From the 1920s to the 1940s, and again from 1960 to 1965, special passenger trains ran to Hutt Park for the race meetings. 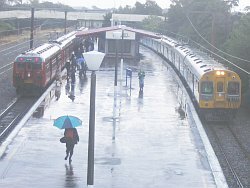 There have been two stations with the name Hutt Park. The first was on the western side of the Hutt River, on the Petone foreshore. It was the terminus of the line built by the Hutt Park Railway Company in 1885. The second station, on the Gracefield Branch, was opened in the 1920s. 1939 plan shows a proposed second branch line to a new harbour at Seaview. 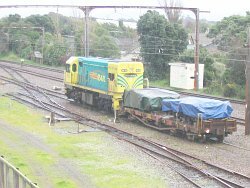 On 30 April 2002 the Gracefield Yard was closed and since then the yard and the Seaview sidings have been lifted. 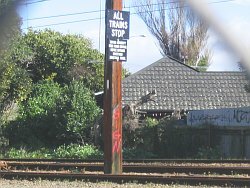 The branch is now a glorified siding, serving the Hutt Workshops. 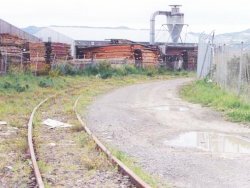 At 0800 hours on Friday, 24th Feb 2006, the Gracefield Industrial Line became the Gracefield Industrial Siding. 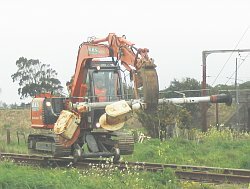 September 2007 update. The Gracefield yard is now fenced ( with a post between the rails). It is possible that preparations have been made to lift the Parkside Road to Hutt Park Road section. Woburn Signalling. Study the signalling at Woburn. 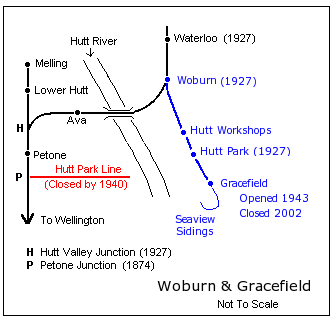 Diagrams show how the arrangements have changed from the opening of the Hutt Deviation Line in 1927 to the present day. Woburn Triangle. I present evidence, both circumstantial and concrete, that the planners made provision for the construction of the third leg of the Woburn triangle. Timetables. Learn when a weekday commuter could catch a train from Woburn to Wellington. The timetables for selected years from 1928 to 2006 are listed. 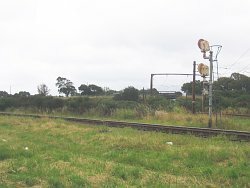 Gracefield Signalling. 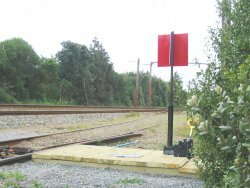 Study signalling on the Gracefield branch. Safeworking. For a short branch the Gracefield line has been operated under an interesting variety of safeworking methods - One Engine in Steam, Open Section, Staff & Ticket, Automatic Signalling, Station Limits, controlled network (special requirements) and maybe even Operator Controlled Territory. Hutt Park Station & Race Trains. Very few people probably know that there is a platform at Hutt Park and that trains once ran to race meetings. Worker's Trains. 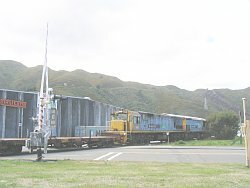 From the 1930s until the 1960s or 1970s a passenger train ran from Wellington to the Hutt Workshops. 1960s Photos. Photos taken by Graeme Bennett in the early 1960s of Woburn, the Gracefield Branch and Seaview. Rail Infrastructure. 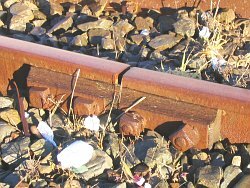 An interesting variety of rail fittings are to be found on the Gracefield Branch. Gracefield Yard Lifted. 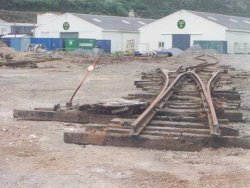 In 2002 most of the Gracefield yard was lifted. Seaview Sidings In 2002 the Seaview sidings were lifted. Paper Crossings. 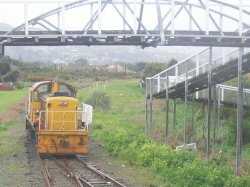 The WTT for the Hutt Industrial Line contains examples of what are termed "paper" crossings. Trains on the branch Details of specific trains. Signalling Changes 2006 A project to change access to the Gracefield branch is documented. Work on the project began in 2003 and was finally completed in 2006. Woburn South End. For over ten years, until August 2006, access to the Gracefield Industrial Line was via hand wound points at the south end of the Woburn yard. A photo gallery documents these operations. Woburn North Siding. 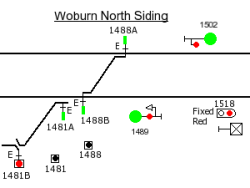 In August 2006 the north end of Woburn was renamed Woburn North Siding and became the new point of access to the Gracefield Industrial Siding. A photo gallery describes operations at this location. No link here - it is a space filler. I like the photo of a short Q4 departing Woburn for Wellington! Before and After. 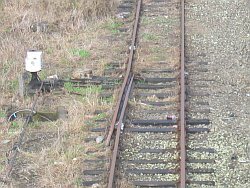 Signals before and after the 2006 alterations. Repairing Overbridge. 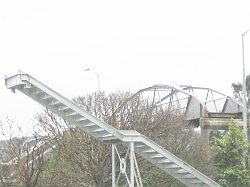 In 2006 wooden steps on the northern overbridge were replaced with steel structures. The project took many months to complete. 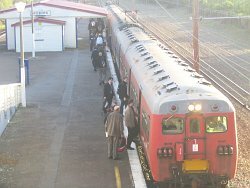 Gracefield Branch Trains Q4 and other trains on the branch and at Hutt Shops. A photo gallery.